In an article published by Robyn Powell of the ABC on 1 May 2017 our head Judge of the Family Court says “ I think the system is letting people down” and Bryant J sets out that while overall delays in the Family court were about 17 months from filing in the Court to Hearing, some people have to wait three years to get their case to trial. Bryant J goes on to say that “There are very vulnerable people caught up in the system and at the moment we are powerless to do a lot about it”. One of the factors that our Chief Justice of the Family Court cites is “lack of funding”. Funding is deemed so short that the system cannot check whether Orders are being complied with. Along with Bryant J, Wendy Kayler-Thompson from the Law Council of Australia has said that due to the lengthy process of the Family Courts system that many people are settling for less than they are entitled or simply giving up. This means that those that deserve justice cannot access it under the current system. There are many however they can be costly and not result in a mutually agreeable outcome. From mediation to collaborative law, there is no guarantee that the matter will be resolved and Orders entered into. Is Arbitration by an experienced lawyer the next best thing to Court? 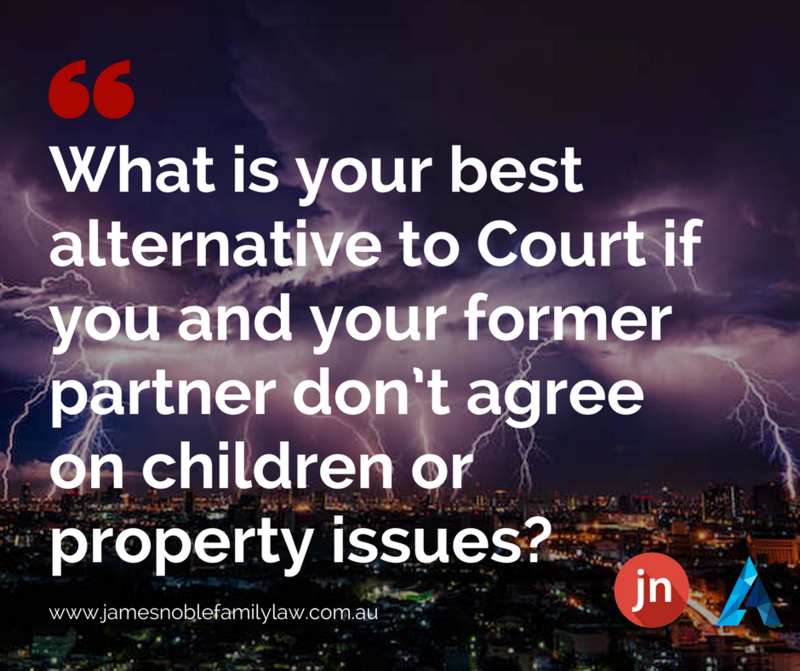 If both parties put the parenting and/or property settlement decision in the hands of a single, or multiple Arbitrators they are asking them to make an unbiased decision regarding their matter just like an experienced Judge. Parties to a dispute can provide information to the Arbitrator / s and put their side of the case to them similar to putting evidence before the Court. Some arbitration processes allow the parties to provide oral evidence so they can “have their say” and “put their case”. The Arbitrator will consider the evidence and make a well-weighted decision and will also g=ive reasons for their decision much like a Judge would do. Parties can walk away from the process knowing that an unbiased outcome has been achieved whether they agree or not. Just like in Court. Most Arbitrators who fulfil the role do so with many years of experience in their particular field. In Family Law matters this is no different. Whoever you choose, do your research. Arbitrators generally work privately so will charge a fee to conduct the process. Even the most expensive fees charged by Arbitrators are a small fraction of the price of going through the Court process with legal representation on your side, especially if you proceed all the way to trial. Arbitration may end your matter with the same result without the delay and cost of getting a Judge to decide possibly years down the track. The money can stay with the parties and not with the Lawyers. Written by Family Lawyer Charles Noble of Aylward Game Solicitors. Aylward Game Solicitors can assist in Arbitration for your family law matter.